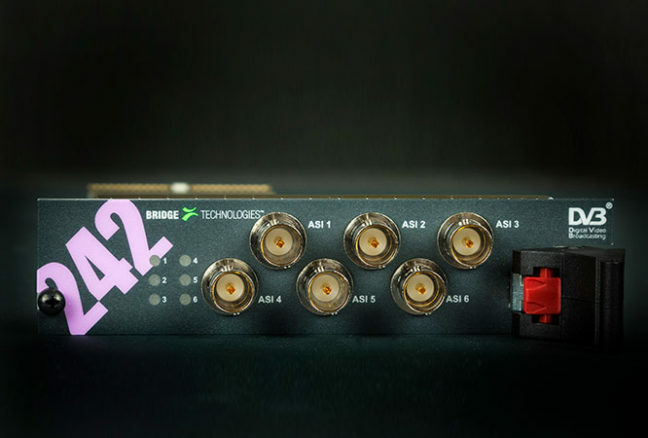 The VB243 provides full dual path redundancy for ASI signals with autonomous operation and deep signal analysis on both signal paths for the ultimate switching decision making. Front panel controls with illuminated buttons offer local override control and a clear visual indication of the active switching path. The redundancy switch offers three distinct modes of operation making it suitable for any real-life operational challenges. These are Automatic mode, Manual mode and SuperLocal mode. 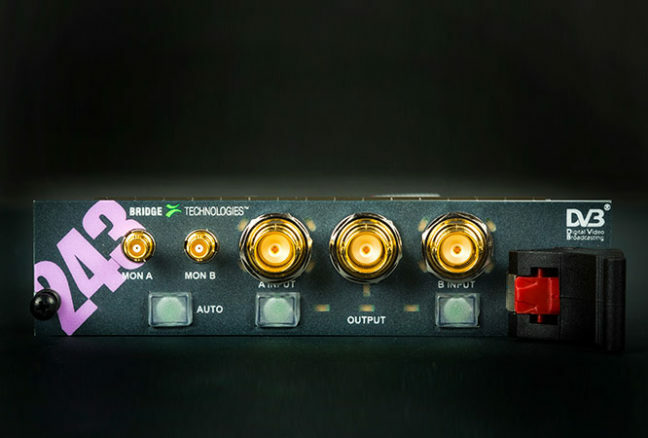 The VB243 switch module actively taps off a small portion of the input signal from both inputs, amplifies it and then feeds it to the neighbouring VB242 ASI input module via two factory fitted cables. 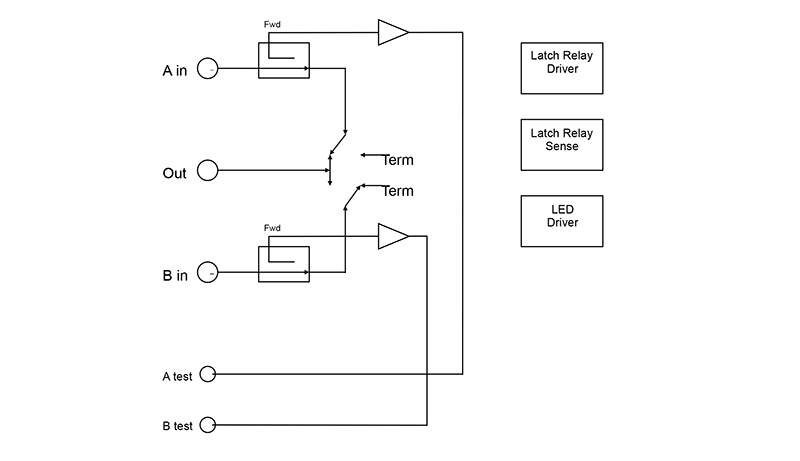 This allows monitoring and analysis to take place on both inputs simultaneously for switching purposes. If any problem in any parameter is detected preset rules apply and the unit will check the opposite input for the same failure and perform a switch if no failure is detected. 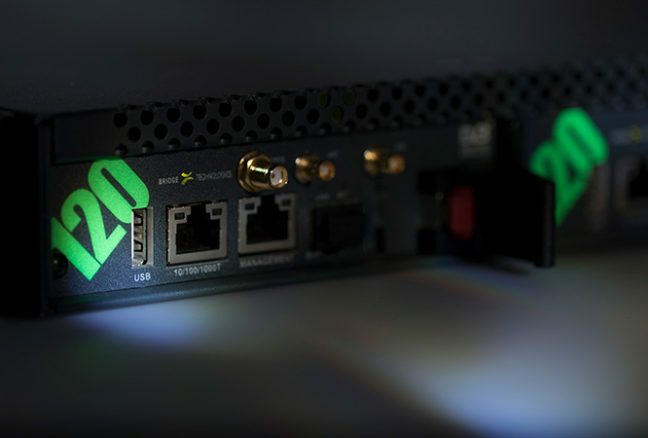 The VB120 blade offers a bonus HD-BNC ASI input port with TS 101 290 analysis support that can be used for ad-hoc monitoring in addition to the two main ASI input ports used on the VB242 blade should the need arise.